Salvatore (Sonny) Provetto MSW, LICSW is an EMDR clinician and a trauma consultant for police departments and emergency responders in Northern Vermont. His experiences as a police officer and emergency mental health clinician have guided his clinical practice with first responders for more than 17 years. Dr Temple is a consultant psychiatrist and psychotherapist, Eye Movement Desensitisation and Reprocessing (EMDR) Europe Accredited consultant and supervisor, and UK Accredited Interpersonal Psychotherapy (IPT) practitioner. She is Royal College of Psychiatrists and GMC specialist register accredited in psychiatry of working age adults, liaison psychiatry, addictions and eating disorders. She is a member of the European Society for Trauma and Dissociation (ESTD) and the UK Psychological Trauma Society (UKPTS). She has been clinical director and leading specialist of inpatient services for patients with complex attachment and interpersonal trauma related disorders including personality disorder, complex PTSD and DID at The Kemp Unit since 2015. Previously Dr Temple has worked across secondary and tertiary community and inpatient NHS settings in adult, liaison and eating disorder psychiatry, with time also spent as a commissioned officer and consultant psychiatrist in the British military mental health services. Working with The Kemp Unit specialist multi-disciplinary team and its psychological therapeutic programme, Dr Temple specialises in the stabilisation and treatment of these patients in a therapeutic residential setting. Her specialist interest area is working with patients experiencing trauma related complex mental health needs in particular complex PTSD and dissociative disorders. 09.30 - 11.00 So what’s all this about dissociation & complex trauma? 11.30 - 13.00 What approaches might be helpful to integrate in your EMDR practice in these cases? Healing complex trauma integrates a neurobiologically informed understanding of trauma , dissociation and attachment with practical approach to treatment , all communicated in straightforward language accessible to both client and therapist. EMDR Refresher Days With John Spector Consultant Clinical Psychologist and EMDR Trainer and Consultant. EMDR Refresher Days, London, March 25th, June 10th, September 2nd, and November 25th 2019. With Dr Laurell Parnell Director of the Parnell Institute and developer of Attachment-Focused EMDR. Internationally recognised clinical psychologist and author. An experiential 2 day workshop for psychotherapists and EMDR therapists. 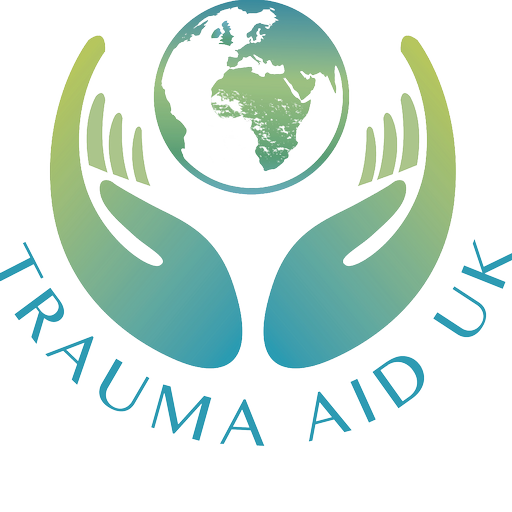 ‘Healing complex trauma integrates a neurobiologically informed understanding of trauma , dissociation and attachment with practical approach to treatment , all communicated in straightforward language accessible to both client and therapist. With Mark Brayne, Europe Accredited Consultant & Parnell Institute Training Facilitator. Weekend workshop with practical training in attachment-focused approach with client dysfunctions rooted in developmental experiences in childhood. Dr Alexandra Dent is an experienced Registered and Chartered Clinical Psychologist and Europe Accredited EMDR Consultant/supervisor working with children and adolescents (C & A), adults and families across the East Midlands. With Dean Whybrow, lecturer in Mental Health Nursing, School of Healthcare Sciences, University of Cardiff. With Mark Brayne, Europe Accredited Consultant & Parnell Institute Training Facilitator.